Ann is a leaseholder living on the Spring Valley estate that is now managed by the Springfield Horseshoe Tenant Management Co-operative. As chair of the Fed she has worked tirelessly over the years to promote the interests of tenants and to ensure that they have their say over the services that they receive. Ann has been awarded the MBE in recognition of the work that she has done. As well as being vice chair of the Fed Stuart is chair of Poet’s corner TRA, and vice chair of the Local Neighbourhood Partnership. 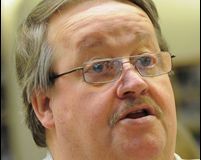 He is also involved in the special interest groups or SIGs that form part of Wolverhampton Homes consultation structures. He originally became involved in a group at Fourth Avenue but when this folded he was asked to get involved in Poet’s Corner TRA, that covers the estate on which he lives. Andrew is keen to see tenants able to have a greater say over services that they receive. He lives on the Dovecotes estate and represents the Fed on the Council's strategic Housing Operational Group. Dave has lived in Wolverhampton since 1986 before which he was in the armed forces. 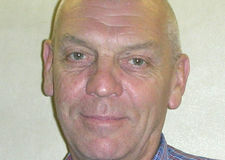 He is secretary of the Graiseley TRA where he lives and feels that he and the group have built up a professional relationship with Wolverhampton Homes and other service providers. ‘I wish to continue supporting tenants and residents in the City alongside other parties with the aim of making Wolverhampton a great place to live. I recognise there are still many burning issues to resolve and this will take time,’ says Dave. I have lived all my life in the Bilston area, and have been involved with the local tenants' group for 6 years and have recently been appointed the vice chair. I am glad to be back on the Board of the Fed as there are so many issues affecting tenants at the moment and it is important that we as a Fed look to protect their interests. 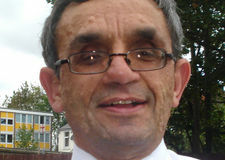 Bob has lived in Wolverhampton and been a tenant at Heath Town since 1993. He is now retired and became an individual member of the Federation 2 years ago. He says that his 2 main concerns are, firstly the charges that tenants pay on top of their rent, he feels that the landlord doesn’t make it clear what services are received for those charges and secondly the need to promote genuine tenants’ organisations, independent of the landlord, on all our estates. 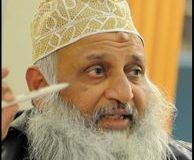 Mr Motawalla returns to the Board this year 2013. He lives on the Boscobel estate and is keen to represent the interests of all tenants in the area. John has now stepped down as treasurer but is pleased to still be on the Board of the Fed. He is a firm believer in the rights of tenants to take greater control over the delivery of services in the areas where they live. Mary lives on the East Park estate and has long been active in the tenants movement. She has been a member of the Fed for many years first as a representative of the East Park TRA and now as an individual member. 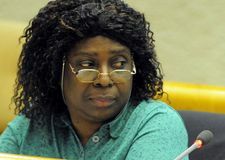 Gloria was elected to the Board in May 2014. She has lived on the Heath Town estate for about 30 years and is chair of the tenants group. 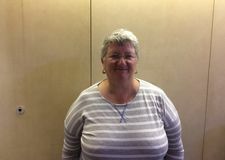 She would like to see improved community spirit at Heath Town and she would like to see wider participation across the City in terms of tenants working together for better living conditions and life style. 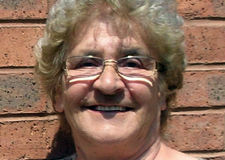 Marie has been involved with the Rakegate TRA for almost 25 years and has acted as chair for 23 years. She enjoys working in the community helping people with their issues and problems. She is a retired teacher and has been a volunteer youth club leader. She is keen to serve as a director for the Federation and to gain more knowledge and acquire new skills to pass on to others.